Blood Pressure : Are We Overdoing Salt Restrictions? WEDNESDAY, Aug. 13, 2014 (HealthDay News) -- It's long been known that eating too much salt will raise your blood pressure, but a comprehensive global study now says that too little salt in your diet also can harm your heart health. There appears to be a "sweet spot" for daily sodium intake between 3 grams and 6 grams -- equal to 7.5 grams to 15 grams of salt -- associated with a lower risk of death and heart disease than either more or less, researchers report. "We found that too high levels of sodium are harmful, but also eating a low amount of sodium is harmful," said study co-author Andrew Mente, an assistant professor of clinical epidemiology and biostatistics at McMaster University in Ontario. "Having a moderate level of intake is associated with the least amount of harm." The findings run counter to current guidelines for heart disease prevention, which recommend a maximum sodium intake of 1.5 grams to 2.4 grams per day. That's equivalent to a maximum of just under half a teaspoon of table salt per day. "Only one in 20 people in the world eat currently what is recommended," Mente said. "It indicates that we are making recommendations that most people can't meet. It's not a practical recommendation. This suggests that rather than focusing on sodium, we should focus on eating an overall healthy diet and pursuing healthy lifestyle changes." Limiting salt consumption is difficult given that 80 percent of a person's daily salt intake comes from the foods they eat, rather than the salt shaker, he said. The researchers' findings are included in papers published in the Aug. 14 issue of the New England Journal of Medicine. One examines the relationship between salt intake and blood pressure, while another looks at salt and risk of death or heart disease. More than 100,000 people from 18 countries participated in the study. Estimates of salt intake were based on urine tests that showed how much sodium the participants excreted. The study is called the Prospective Urban Rural Epidemiology (PURE) investigation. The American Heart Association (AHA) questions the validity of the studies. It says it will stand by its current recommendation of less than 1.5 grams per day for ideal heart health. "The AHA has been concerned about the quality of these studies and strongly believes that other types of evidence, particularly the well-documented clinical trial relationship of sodium intake and blood pressure, provide the best scientific basis to guide policy," said Dr. Elliott Antman, president of the heart association. "The bulk of the available evidence to date shows reduced sodium intake is associated with reduced blood pressure, which itself is associated with a reduction in cardiovascular event." Antman pointed to a third study in the journal, which said that excessive salt consumption may cause 1.65 million cardiovascular disease deaths every year. In that study, led by Dr. Dariush Mozaffarian at the Harvard School of Public Health, the deaths were linked to sodium intake greater than 2 grams per day -- the limit set by the World Health Organization. "In the U.S. alone, almost 57,600 annual cardiovascular deaths are attributed to sodium intake at this level," Antman said. In looking at the link between salt and blood pressure, Mente said his PURE colleagues were surprised to find no straight-line relationship. Reducing dietary salt beyond a certain point appears to do no good for blood pressure, and may even do harm. "We found if you eat a high amount of sodium, lowering your sodium has a large effect on your blood pressure," he said. "But if you have an average sodium diet, lowering your sodium further won't have much impact on your blood pressure." Too much salt raises blood pressure by causing your body to retain water, said Dr. Suzanne Oparil, director of the vascular biology and hypertension program at the University of Alabama at Birmingham School of Medicine. The extra water causes blood volume to expand, which increases the internal pressure placed on blood vessels. 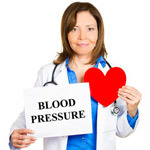 This pressure can cause arteries to harden, which in turn increases risk for heart attack or stroke. The PURE investigators verified that too much salt does increase a person's risk of heart disease and death. In particular, excess salt harms the health of people who have high blood pressure, are obese, or are seniors. But too little salt in your diet also appears to be harmful, they found. Sodium intake of less than 3 grams per day was tied to a 27 percent increased risk of death and heart disease, according to their findings. "Nobody exactly knows why," said Oparil, who wrote an editorial accompanying the studies. "It could be that you need a certain amount of blood volume, and excessively low blood pressure can be harmful, or it may be something else." Oparil isn't surprised that the heart association disputes the findings. "They believe in limiting salt," she said, adding that these new studies indicate that otherwise healthy people may not need to track their sodium intake. "If they do not have hypertension [high blood pressure] and they are not obese, and are younger, they really shouldn't worry too much about salt," she said. "They should do other good things, like have high levels of physical activity and eat a healthy diet. There's no demonstrable benefit of extreme sodium reduction, and we shouldn't be so focused on it."